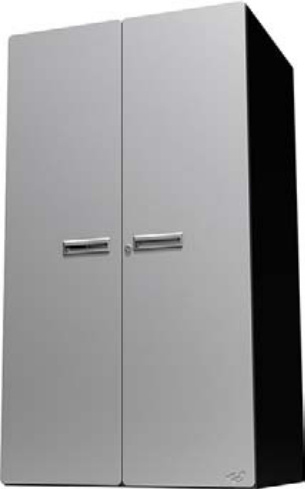 Options: Choose from either stainless steel or silver metallic powder coat fronts. See choice difference in pictures above. 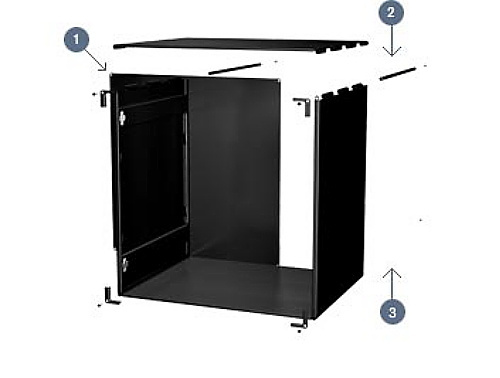 All cabinet shelves are adjustable in two inch increments from top to bottom of cabinet. Modular Assembly Has Never Had It So Easy! 1. Hinge cylinders. 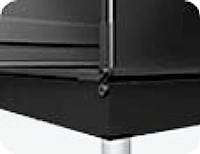 - Match up and secure with the steel hinge rods. 2. 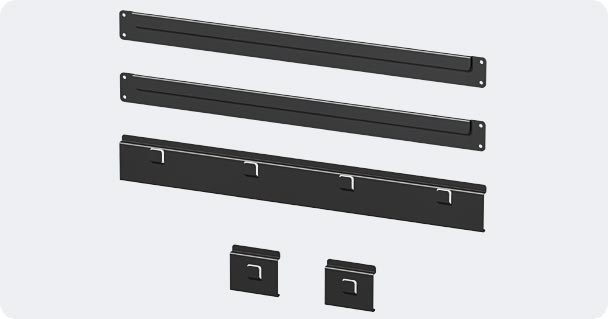 Steel hinge rods. 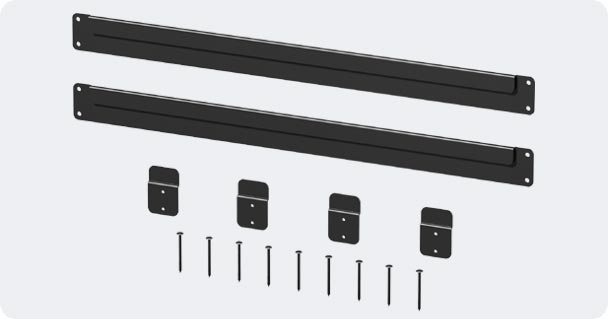 - Slip easily into hinge cylinders for quick and easy assembly. 3. Simplicity. - One Phillips screwdriver, that’s it.